There are very few retirement products that help you accumulate a retirement nest egg and one such product is the National Pension System (NPS). 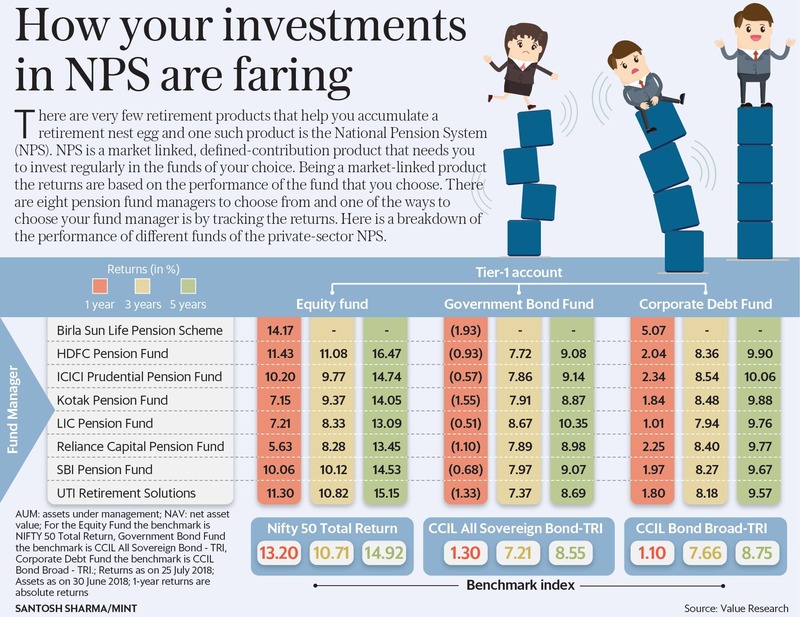 NPS is a market linked, defined-contribution product that needs you to invest regularly in the funds of your choice. Being a market-linked product, returns are based on the performance of the fund that you choose. There are eight pension fund managers to choose from and one of the ways to choose your fund manager is by tracking the returns. Here is a breakdown of the performance of different funds of the private sector NPS.